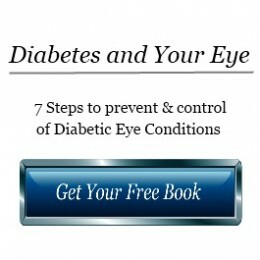 The macula is the central area of one of the most important parts of your eye – the retina. The retina is a thin layer of light-sensitive tissue that lines the back of the eye. Light rays are focused onto the retina, where they are transmitted to the brain and interpreted as the images you see. 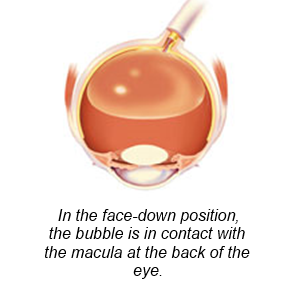 The macula is the portion of the retina responsible for clear, detailed vision. to see at both distant and close range. 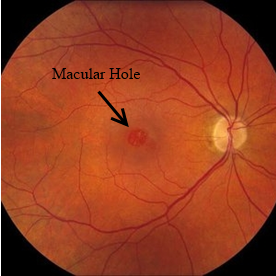 Symptoms of macular hole usually occur in one eye only, as it is uncommon to have a macular hole in both eyes. Vision distortion similar to looking through thick fog or wavy glass. A dark or blind spot in the center of the field of vision. If any of these symptoms occur, it is important to schedule an appointment with your eye doctor as soon as possible. Your Eye M.D. 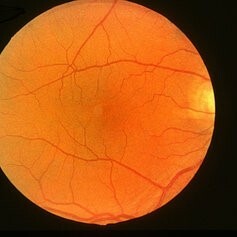 will use a special instrument to look inside the eye and see whether the macula has a hole in it. It is important to note that if the macula is damaged, you will not lose your vision entirely. You will still have peripheral, or side, vision. If you have vitrectomy surgery, you must maintain a constant face-down position after surgery to keep the bubble in contact with the macula to allow effective healing. This can range from a few days to a few weeks, depending on your surgeon’s recommendation and the size of your hole. A successful result often depends on how well this position is maintained. The bubble will then slowly dissolve on its own. If you have a gas bubble, you cannot fly in an airplane until the gas bubble has dissolved, as a rapid increase in altitude can cause a dangerous rise in eye pressure. You must also not undergo general anesthesia using nitrous gas, though it is generally safe to have general anesthesia without using nitrous gas.